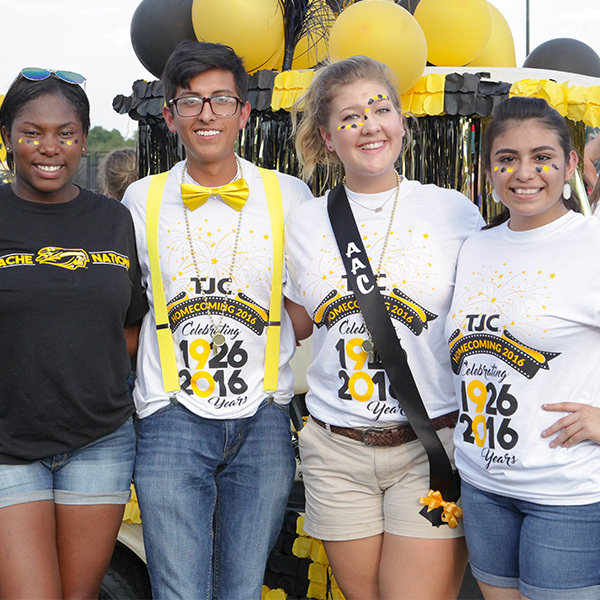 The mission of the TJC Alumni Association is to connect past and future Apaches to create a strong and long-lasting TJC community. The TJC Alumni Association is available for ALL former students, family members, and friends of the College. 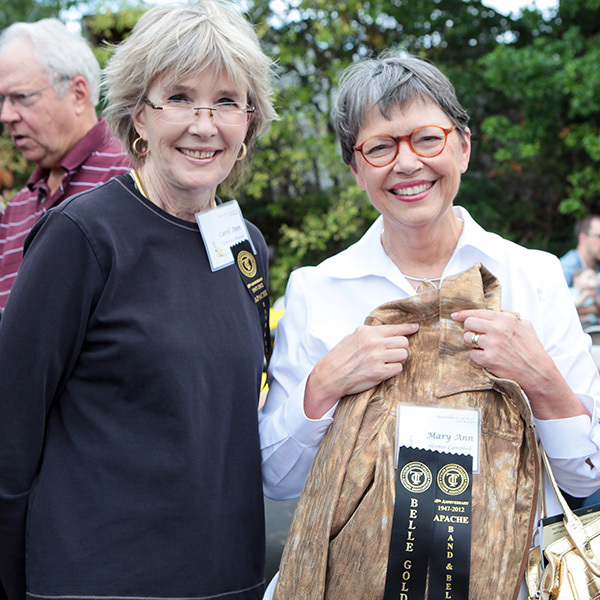 Timely communication, an awareness of what is happening on campus and fellowship with former alumni all are privileges of membership in the TJC Alumni Association. All paid Alumni Members receive the official Alumni E-Newsletter, Apache Trails, published monthly. Update your contact information and receive a complimentary one-year Apache Proud membership. For 90 years, TJC has embodied the true sense of the term “community college,” as reflected in its foundational promises to provide students with a quality education, a vibrant student life and opportunities for service to the community. TJC has produced nine decades of exceptional graduates, including: a former deputy director of the CIA; Grammy and Academy Award-winners; playwrights, actors and actresses; professional athletes; prominent political figures; health care specialists; educators; and business professionals. Over the past nine decades, Tyler Junior College has stood the test of time. With expansion and incorporation of new and innovative programs, TJC has continued to make our institution the “The College of East Texas”. As one milestone is accomplished, we continue to recognize the next one approaching. This year celebrates 70 years of entertainment provided by the Apache Band and Apache Belles. Without a doubt, we look forward to many more entertaining performances in the years to come by both organizations. As an active member of the Alumni Association, you may attend on-campus concerts, sporting events free of charge. By joining as a lifetime member, these benefits are yours for life with no worry about renewal each year. In addition, take comfort in knowing that your membership is paying it forward to current and future TJC students by funding scholarship opportunities on campus. Being a member of the Alumni Association allows me to give back to a wonderful institution that has given so much to so many. As we move forward, I know the years to come will be just as fulfilling as the last 90 years have been. TJC is a dominant force in the NJCAA with 60 national championships. Get involved with one of our 50+ student clubs and organizations. Visit our historic 137-acre campus.